You can find all the CAD files for Greta here. This years competition is “FIRST Power-up. Teams are required to place milk crates, or "power cubes", on large balancing scales to tip the scale and gain points. 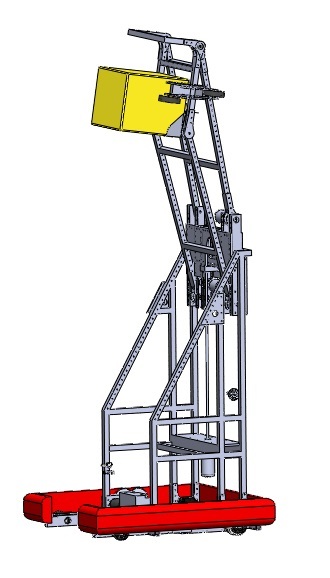 At the end of the match, robots can “climb the tower” by extending to attach to a rung and lifting the bot around a foot in the air.